Posts about websites I visit, randomly or regularly, and I feel deserve to be praised or at the very least talked about in an entry. Do you have an assignment or a project that is due the next day, and you’ve only managed to do half of it? Is someone waiting for you outside your door, waiting for you to come out so you can go some place and have fun? If yes, then please be a dear and ignore them for the minute. THIS IS MORE IMPORTANT. The video below is not your ordinary viral video. Released just two weeks ago, it has spread in all the major video-sharing websites such as vimeo and YouTube, and as of last night it has made an appearance on my Facebook news feed. Its purpose it to tell the general populace of JOSEPH KONY, not to celebrate him as an outstanding citizen (quite the opposite, in fact), but to RAISE AWARENESS as to who he is. If you’re like me who have no idea who he is, then this video will explain everything. And of course, not to forget the obvious: SPREAD THE WORD. REBLOG, if you want. Tell your friends — the real life ones and the ones on Facebook. Tell your family because, honestly, would you want the same fate for your sons? Daughters? Younger siblings? Nieces, nephews, cousins? I hope no one minds. 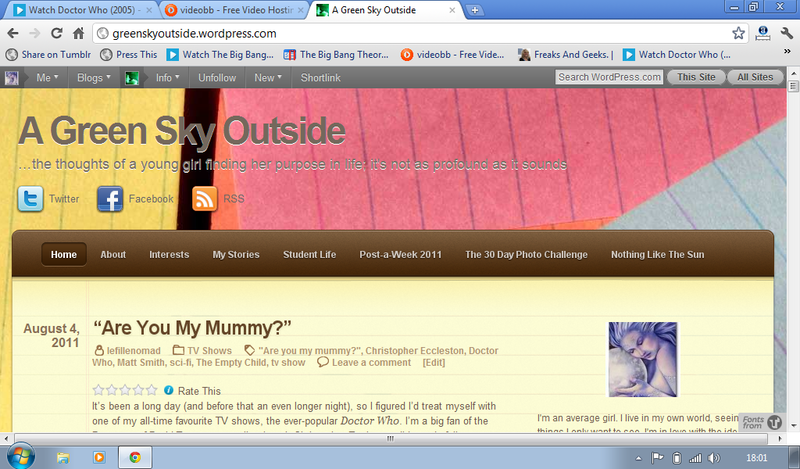 I’m giving this new theme a try, just for a lark y’know? Notepad was all well and good, but it felt too school-ish for me. And since I haven’t been in school for at least four months, I feel like I need to “let go” of it. That, and I got bored of a lined memo pad that’s based from the iPhone app. Don’t get me wrong — I still love that theme and everything, but change is good. Yeah, I like change. Not spare change, though. It makes my purse weigh a tonne. One of the down sides of this current theme though (which, by the way, is called Quintus), is that it doesn’t have the Theme Options that lets me have convenient little buttons for Twitter, Facebook and the RSS feed — whatever that is; I never did quite figure that out. So what do you think of the new theme? Is it all right? 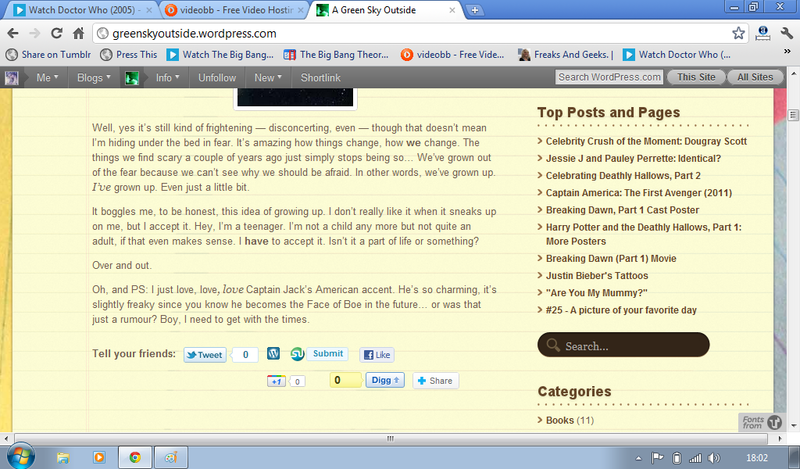 I mean, it’s darker for the eyes when you first load the page, but then it’s all white once you get to the content. Is that good? With all the hype going around this new website, I decided to jump in the bandwagon, so to speak. I’m not really that excited with whatever news Rowling’s got (I’m quite content with the seven books, eight movies and countless admirable people surrounding the franchise), but that’s not me saying I don’t care. A virtual encyclopedia — I read somewhere that Rowling was planning to do this years ago. I wonder what’s going to happen to Harry Potter Lexicon if this is true. 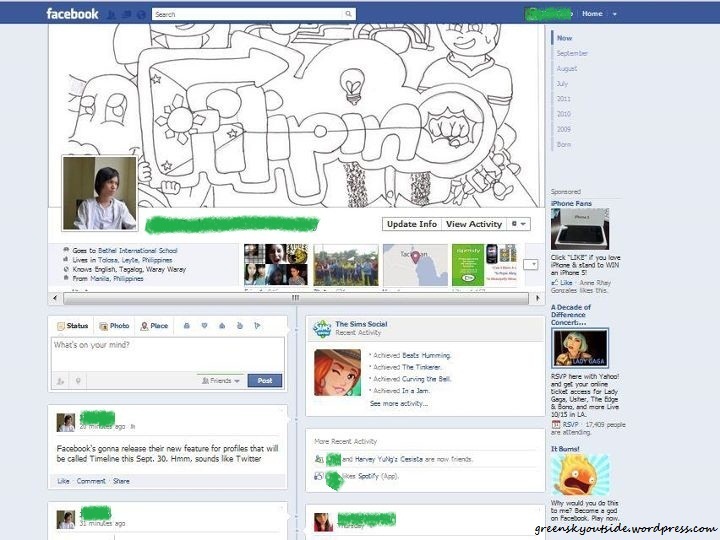 A social networking community — this would be my favorite, since I’m an avid social networking geek. I would love to connect with other Harry Potter fans. 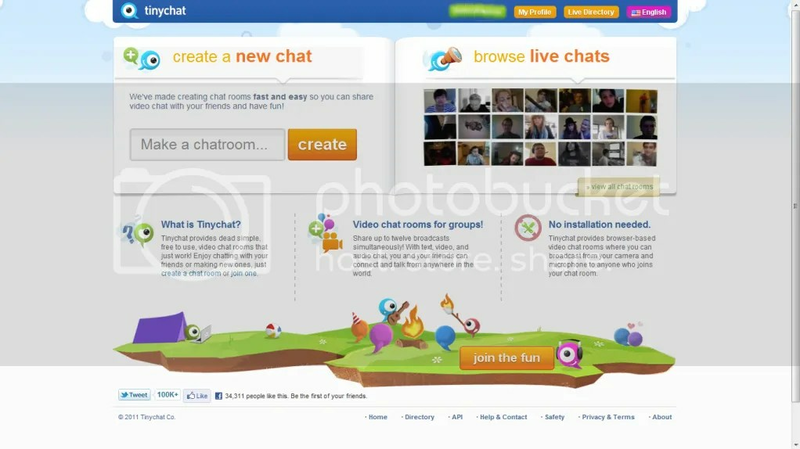 Last but not the least, a multi-player online role-playing game. I’ve had my fair share of RPGs — Hogwarts New Zealand comes to mind at the moment — and I have a strong feeling that this might be answer. I mean, it’s PotterMORE. Potter Multiplayer Online Role-playing Experience. Need I say more? I can’t take credit for the idea, seeing as it’s not mine. I got that from this link. Still, I think the idea has credit. While I’m still rooting for the social networking community, I’m not saying no to an RPG. This is what happens when you have too much time in your hands: you get yourself a Tumblr account, despite the fact that you already have Facebook, Twitter, WordPress, Formspring, YouTube… the list is endless (figuratively speaking, I hope). Here’s the link: http://blacksheeponthemoon.tumblr.com/ I fancied myself creative that night. Black sheep on the moon… creative. Riiiiight. I read Jillian’s latest post and decided I wanted one of the pictures, too. Don’t look at me like that! I’ve already established in a previous post somewhere that I’m a sheep! ^_^ The image above is courtesy of Wordle.net. Oh, and did I mention that just by registering, you stand a chance to win a trip for two to the Harry Potter and the Deathly Hallows, Part 2 premiere? Awesome, right? 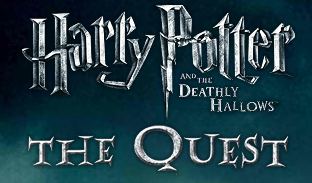 Visit the site at http://www.harrypotterthequest.com.